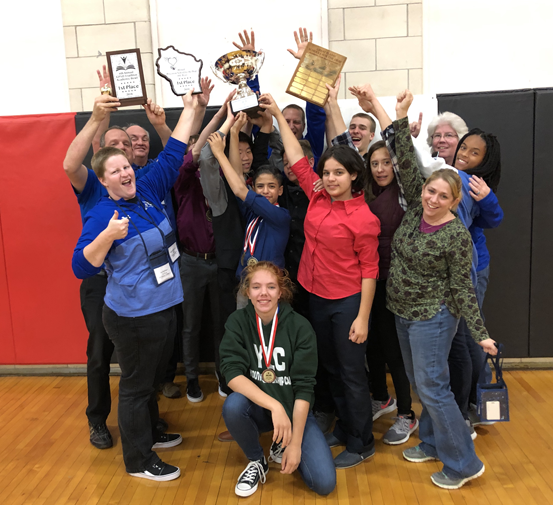 This year's tournament was hosted by Wisconsin School for the Deaf in Delavan, Wisconsin. The tournament started on a snowy Friday morning with the first 6 rounds of the Academic Bowl. KSD easily won their first 4 matches, but then lost their next two by one point. The tournament then turned to the Oratorical Contest, Division One contestants delivering their speeches before dinner, and Division Two students delivering their speeches after dinner, concluding at 9 PM. Then our academic bowl coach worked his team on trivia questions for several hours while the ASL Bowl coaches reviewed ASL Bowl contestants' performances and gave feedback. Saturday morning started with the final two rounds of Academic Bowl play. KSD beat the next team after an overtime round, then played Arkansas, who had no losses. KSD beat Arkansas by one point after 2 overtime rounds. Then KSD was matched up with Arkansas in the championship round. KSD bear Arkansas by one point after another overtime round. It was truly a nail biter! After that, the tournament turned to the final competition, the ASL Bowl, at 2 PM. This competition lasted until 6 PM as thee were a record 29 competitors. After this competition, everyone went to dinner, then on to the awards ceremony. KSD obviously won the Academic Bowl championship trophy. 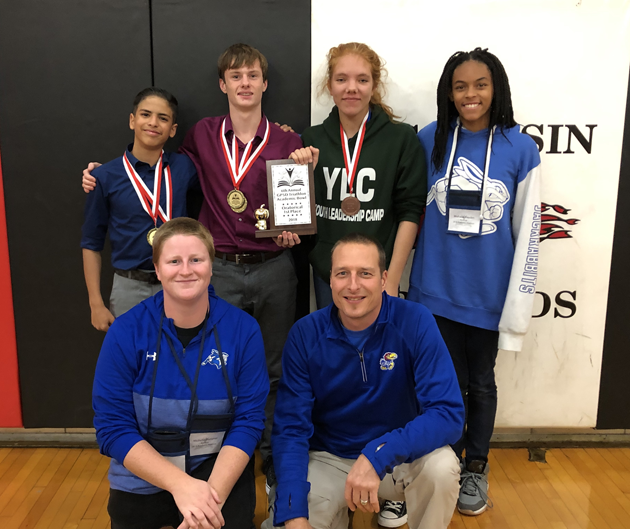 Out of 6 top place winners, Armando Alvarez won second place for Division One, and Sethan Rolofson won first place for Division Two. Taylor Wise won third place for Division Two. Their combined performance points helped KSD win the Oratorical Team Championship! 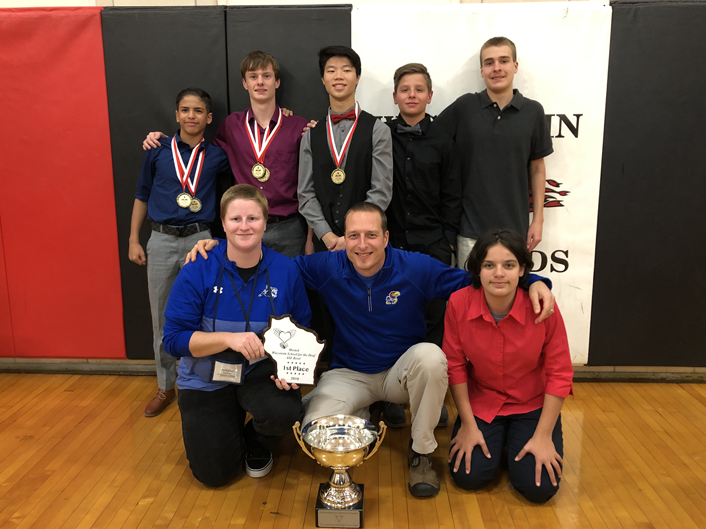 For the ASL Bowl competition, out of 6 top place winners, Armando Alvarez also won first place for Division One ASL Hand Shape Stories, Sethan Rolofson won first place for Division Two ASL Hand Shape Stories, and Josh Brodie won first place for Division Two ASL Poetry. 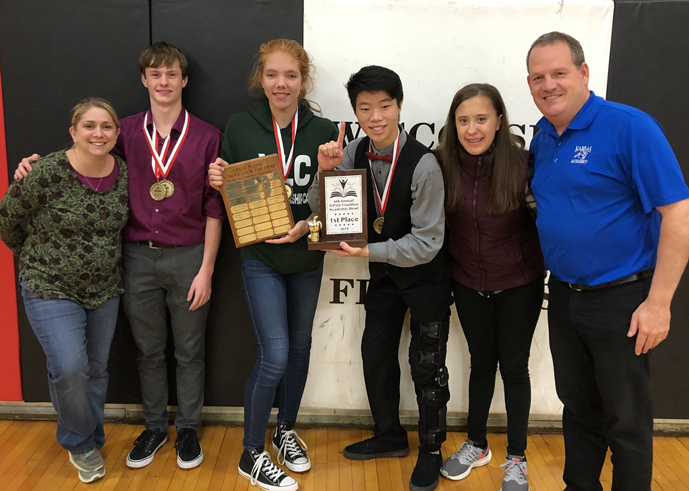 With their points combined with other KSD students' points, KSD won the ASL Bowl championship too! No other school has ever won all three championships, so KSD made history! 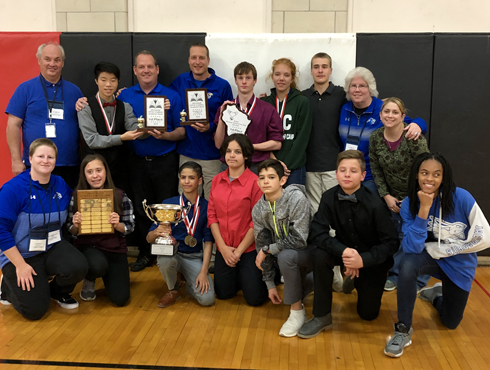 KSD has had many athletic victories as of late, but this is a true reflection of how successful our bilingual educational programming is at KSD. We are extremely proud! Check out the video to view the Tournament event on those students who participated.